Experience all Mont du Lac has to offer in our newly built ski-in cabins. 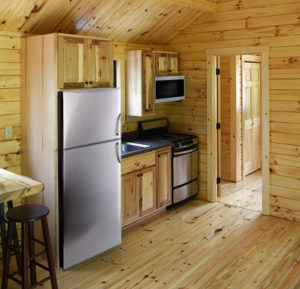 Available year-round, our furnished cabins sleep up to six and are equipped with refrigerators and wood burning stoves. Restroom and shower facility onsite and linens are available. We even give you the first bundle of wood. Each cabin has a charcoal grill and a large deck to enjoy after a fun-filled day in the great northern woods. 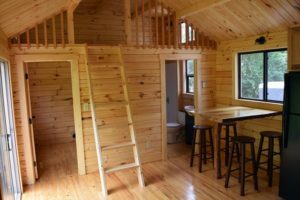 Being right alongside the St. Louis River corridor, our cabins are a great place to stay while fishing during the summer or fall! If you want to book a fishing trip, be sure to contact Houston’s Guide Service as they will provide a great experience on the water. 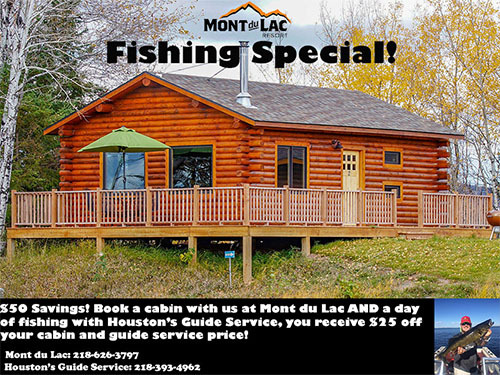 Additionally, you will receive $25 off your guide service AND $25 off a cabin if you stay at Mont du Lac and book a fishing trip with Houston’s Guide Service.